Refurbished rooms in April 2012 with private bathroom, TV lcd, air-conditioning - heating, hairdryer and Free WIFI. Recommended by Guide Routard. Situated just close by airport bus stop ( line 19 ). 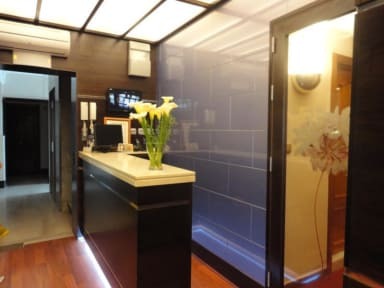 Situated just close by the Central tourist office. Very recommendable if you may stay in Malaga before making a CRUISE or starting a tour around Morocco. Very near the Cathedral, Picasso Museum, Alcazaba, Centre of Contemporany Art, Picassos House and the future 'Thyssen Bornemisza' Museum to visit it on foot. Named Cordoba 7, located to 20 meters from hotel, across the street, offers breakfast. cafeteria Open from 07:30am until 12:00pm hours. The breakfast is not included in the price. Extra cost of breakfast 4,00 euros per person. 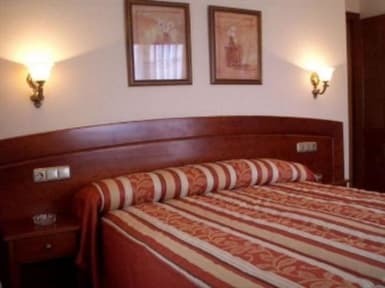 Super amables, un hotel sencillo pero super comodo, cumple con su funcion, dormir bien y servicio muy hospitalario. Excelente servicio. Carmen es un amor. Ella se preocupa por sus huéspedes. Es como estar en su casa. Se los recomiendo a todos.